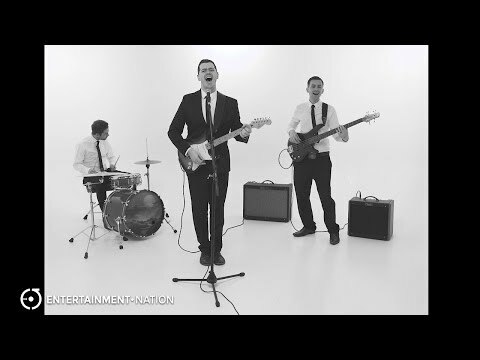 If you want an energetic, slick live band for your event, you've come to the right boys! The Young Ones are the perfect choice for your wedding, corporate event or party and will play you through the night with their exciting set list of pop, dance, rock, Motown, funk and soul classics. Also on the menu are a selection of unique medleys that'll go down a storm with you and your guests! The Young Ones band have plenty of stage experience and have shared the stage with household names such as Duran Duran, Jason Donovan, Westlife, Leona Lewis and Ocean Colour Scene! Additionally, they have performed in some of the UK's finest venues including Pinewood Film Studios, The Royal Albert Hall and the Congress Theatre. Furthermore, band members have written music for the BBC, Ministry of Sound and Channel 5! This talented 3-piece have spared no expense when it comes to investing in the best equipment available. Their stunning live show is enhanced by a professional 12 light show and top of the line PA, monitors and drum kit. The Young Ones are happy to learn your first dance song or special request for a unique live performance. When you hire the Young Ones, your entire evening's entertainment is sorted - the band offer a fully manned laptop DJ service completely free of charge if you book within 7 days of your initial enquiry! If you would like The Young Ones to perform for you during your drinks reception or throughout your meal, why not book their acoustic solo or duo option? They also offer a bigger band line-up for the evening, adding an extra guitarist, male or female vocalist and a keyboard player! The Young Ones are a high energy Birmingham based group and are available for hire all over the world! If your idea of an amazing event includes a hard-hitting, contemporary party band, then book The Young Ones! 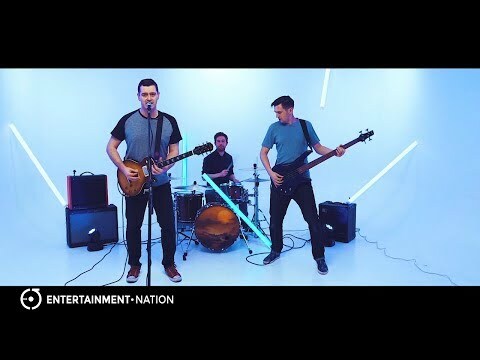 Find the perfect bands for hire with Entertainment Nation. Check out the rest of our great wedding entertainment, hire bands for parties or book corporate bands. "The band themselves were excellent. They were professional and friendly upon arrival and they performed 2 sets as agreed with an interval for food/raffle/auction etc. The played a mixture of songs and the audience seemed to really enjoy their performance. We would definitely say 5/5"
"The band were absolutely fantastic. Loads of guests said how good they were and how much fun they had dancing along to them. Their set list was a really good mix of songs that got younger and older guests going for it. It was such a good atmosphere that everyone got involved. Booking was really easy and the guys were really helpful to make sure the one or two songs we particularly wanted were included. Absolutely five out of five." "Thank you so so much for a lovely night on Saturday, you guys were amazing! People keep coming up to me and saying how good you were and asking who you were, so thank you!! Thank you very much again, made my night!" "Thanks very much for the gig last night, great job. You guys rocked it!" "Both Claire and I were incredibly impressed with The Young Ones, not only was the music fantastic, keeping the dance floor full all night brilliant choice of tunes, but the guys themselves could not have been nicer getting into the Pirate spirit and making the whole evening go with a bang. We had loads of people asking where we found the band and I know that they will be top of the list for any future events. Thank you so much you made a special day just that bit more special." "Great band that really got our wedding reception guests dancing! Thank you so much." "We just wanted to wholeheartedly thank you all for creating such an awesome night for us on our wedding day! You guys were amazing and we had the best night of our lives - as you may have noticed! It was epic!!!! You delivered everything we hoped for and then some, everybody thought you guys were awesome and we were absolutely made up. Thank you, thank you, thank you!!!" "Just wanted to say a big thanks to you and the rest of the band for your set at our wedding on 10th August. You guys were great and it really made the evening entertainment." "Just wanted to say thanks ever so much to you and the lads.The idea to play out side was just one of the many things you guys did to make the day really unforgettable! (Thanks again for letting cam on your drums very gracious of you) I hope you enjoyed playing for us and our guests. Keep at it and well have you back for the anniversary for sure. Just to remind you guys what an awesome job you did! Many thanks again"
"Cannot fault the band - their relaxed manner enhanced the exceptional performance. Their recommended play schedule on the actual night was varied, but totally in line with our daughters request and expectations - more modern rock as opposed to what you normally get at weddings - a great party atmosphere for those who appreciate good music. Should any future occasions arise where a band is needed, they would be our first choice and would definitely recommend them to others. Well done lads - keep it up." "I want to give a big thank you to James and Russ and the rest of The Young Ones for a fantastic performance at our wedding reception (party) last Saturday night. Their performance was beyond our expectations and their spectacular variation of music style exeeds any other live act. We realy appreciate you being part of our special day, Lorna and myself have only been hearing our friends and family going on about how good you were. I've only got a year to go to my 30th and will be in contact again... Many Thanks"
"I booked The Young Ones for my husbands 40th and the process could not have been easier. I dealt with Joe from Entertainment Nation who was really quick in responding to my original request and getting the contract in place. I then had contact with James from the band who was really accommodating for all my requests. They had a set playlist but I changed a few songs around and this was not a problem for them. On the night they were fantastic, I could not fault them and everyone at the party said how much they enjoyed them!! I would definitely recommend The Young Ones to anyone wanting a fun band for any type of party." "The band were fantastic and really made the evening. They learnt songs especially for us at our request which was great. The first dance was perfect; exactly as I'd imagined it would be and got everyone crying!! Everyone commented after how good they were despite the raucous crowd towards the end. Would highly recommend." "They were absolutely brilliant! For a wedding, we weren't a particularly big number, but once they got everyone on the dance floor they read the crowd really well and kept playing the right songs for the occasion. Honestly can't find any fault with them - everyone had a great time. James (their manager) was great to deal with leading up to the date - very professional and accommodating. We'd recommend them unreservedly - 5*!" "I just wanted to write to say how amazing we thought The Young Ones were. From the first communication they put us at ease that they would roll with the timings of the evening and played the kind of music that we were after. Everyone was saying how fab they were and there wasn't a single song where the dance floor seemed empty. They were everything we wanted from our wedding band. If there was a way of putting this in a review, then I would really appreciate this. Thank you for all your help also - you were by far the quickest and easiest to talk to out of all the different companies we went to." "The Young Ones were fantastic! Professional from start to finish and I don't think my bridesmaids or I left the dancefloor for a single song!" "The band were absolutely fantastic and I would highly recommend them to anyone and everyone. All of our guests said how amazing they were. I would definitely give them 5 out of 5!" "The band were fantastic and I received loads of excellent feedback from my party guests. Their repertoire of music was very extensive from the 70's all the way through to present day so it could be enjoyed by all ages. They did exactly what I asked of them and kept everyone up dancing for the whole of the evening, it was just a shame it had to end! 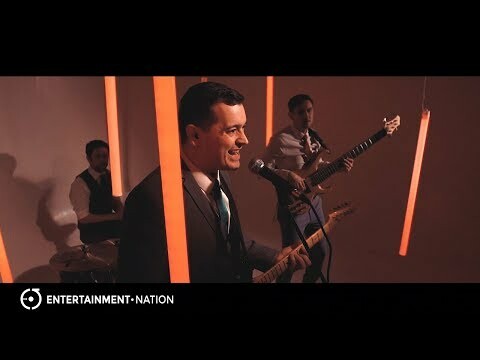 Entertainment Nation were also fantastic, from my first enquiry right the way through to the final touches at the end. If I had any queries they always responded as a matter of urgency. I would give 5/5 to both." "Everything went smoothly on the day, the band were polite and flexible with the set timings etc. Performance wise, they were absolutely brilliant and the set list was perfect - I cannot fault them. Everyone from the company has commented on how good they were. We will definitely use Entertainment Nation and The Young Ones again. Thank you!"